Liam winning Gold at BRITISH TAEKWONDO NATIONAL CHAMPIONSHIPS 2014! Liam had a fantastic day at the British Nationals in Manchester winning all his 3 fights convincingly, afterwards he met up with Lutalo Muhammad from team GB. 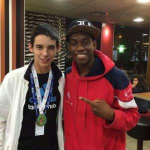 Posted in All, Champions | Comments Off on Liam winning Gold at BRITISH TAEKWONDO NATIONAL CHAMPIONSHIPS 2014! At the recent Taekwondo open international competition in Belgium Conan Irvine gained his first Bronze medal after competing in his 2nd international event he did very well to win his first fight, just losing out in his 2nd fight by a few points. Liam Muir and Kristofer Irvine also competed and both competitors done very well at the event for the first time and lost by a few points in very close matches. I am sure their experience will benefit them and the club in the long term. Falkirk Taekwondo Club win UK Championship for the 8th time!! 8th time coming away with a mixture of 14 Golds, 14 Silvers and 9 Bronze. against teams from Scotland England and Ireland. Elisha Shaw won another to add to her growing collection. close in his previous competitions. Conan Irvine (2), Dylan McCormick and Rory Sneddon (2) as well as Christopher Hudson (2) bringing back the Silverware with a smile on their faces. Lastly we won a total of 9 Bronze with Kristofer Irvine winning 2 Aaron Connelly, Aimee Gilmour, Emily Fyffe, John-Jo Paterson, Jamie Thomson, Rebecca shaw and Vincent Connelly winning the rest. and tenacity to get the results they deserve. to give us the successes we get, without the support of all the parents it would not be possible. Thanks! to all of you and enjoy the festive break ahead. received his 2nd Dan as well. who are in with a good chance of fighting for Scotland, watch this space. Posted in All, Champions, Uncategorized | Comments Off on Falkirk Taekwondo Club win UK Championship for the 8th time!! Another great result for Falkirk Taekwondo club at the recent UK Team championships with the club winning the event for the unprecedented 7th time beating teams from all across the UK. 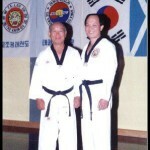 club in the Traditional Taekwondo Association led by 10th Dan Grandmaster TKLoh. The club won 11 Golds 11 Silvers and 4 Bronzes in sparring and paired Poomsae. This year the competition introduced paired poomsae where you have to perform with a partner in sync to get the best points, we won Gold Silver and Bronze in this event with Rory Sneddon and John-Jo Paterson winning Gold, Eve MacDougall and Freya Paterson winning Silver and Christopher Hudson and Elisha Shaw winning Bronze. Apart from being crowned Team champions we came very close to winning the Black Belt adult male event losing by only 4 points Kristofer Irvine is getting better each year at this event, Conan Irvine 19 came up against a much older and stronger opponent he had a very tough match but his skills shined through to enable him to win his match, Marc Rivett showed his class by winning his fights against heavier opponents in style. I am sure we will win this in the future with the calibre of students we have in the club. A Double congratulations go to Conan and Marc who competed in their first international competition in Belgium early this year they missed out in the medals but gained a vast amount of experience which they can bring to the club to make us stronger in the future. Jamie Thomson at 11 years old showed great maturity and control to win his final fight against a larger more aggressive opponent with a knock out in the 1st round. John-Jo Paterson had some tough matches against the Ayr team to win his 6th gold in his short career. Rory Sneddon also won his 5th Gold in sparring. 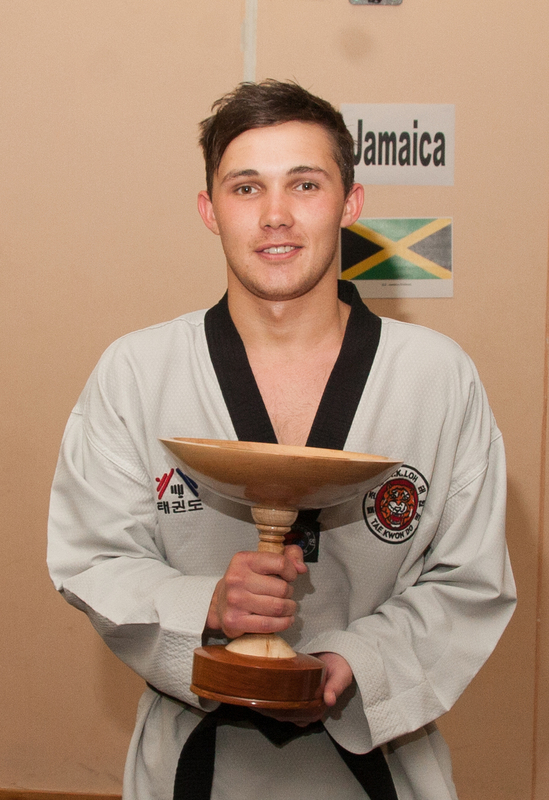 Elisha Shaw performed in 2 sparring events and the patterns event winning Gold, Silver and Bronze. Vincent Connolly a first time competitor won Gold along with his brother Aaron who won Silver. Dylan McCormick one of the tiniest competitors on the day weighing 20kg won his first Silver in his first competition, another lightweight Abby Robertson also won Silver. Gary Hamilton, Daniel Hesp performed excellently to win more Golds for the club. Gold medalists, Conan Irvine, Liam Muir, John-Jo Paterson, Jamie Thomson, Rory Sneddon, Elisha Shaw, Vincent Connolly, Gary Hamilton, Daniel Hesp. Silver medalists, Elisha Shaw, Kristofer Irvine, William Hu, Sam Edwards, Abby Robertson, Conan Irvine, Marc Rivett, Calia Gilmour, Christopher Hudson. Bronze medalists, Dylan McCormick, Aaron Connolly, Christopher Hudson, Elisha Shaw. For all our competitors who just missed out on a medal your time will come just persevere. Thank you so much to everyone who made such an effort to attend the event, without the efforts of students and parents we would not have been so successful, keep up the good work. and see how you enjoy the training, we run classes in Falkirk , Grangemouth, Stirling and Callander. under the guidance of Grandmaster TK Loh 10th Dan Taekwondo expert. event so is a fantastic achievement for all competitors. the medals home respectively in their first ever competition. Gary Hamilton won Gold in the Children Green Belt event. will be back next year to try again. Kristofer Irvine won Silver and Ross Walker won Bronze in his first adult event. brought back a well deserved Silver medal. home the Silver. Lewis Witherspoon won Bronze in his event. with spirit to win Silver medal. of the day in sparring in the children category. won another Gold after some very difficult fights. with brothers Kristofer and Conan Irvine who were promoted to 2nd dan Black Belts. for anyone to beat this magical achievement! students with potential to reach the highest level in Taekwondo! classes to ensure they have the best training and development opportunities in sport. I’d like to say a big thank you to all of them for supporting our Taekwondo family. At the recent Traditional Taekwondo Association National team championships in Coatbrige our clubs achievements were amazing we won 12 Golds, 3 Silver and 3 Bronze medals as well as the Best team spirit! In the children’s category we participated in 14 events and won 9 Golds 2 Silver and 3 Bronze. Rory Sneddon won his first Gold and was over the moon with his achievements he had to fight hard for his trophy, Daniel Hesp also won his first Gold medal in the competition after coming close in previous events. Gary Hamilton won his 2nd medal in his 2nd competition this time gaining a Gold in sparring. Liam Ferguson, Jisin Joseph and Lewis Witherspoon all received Bronze medals to add to our tally. mate Elisha Shaw who won Silver in her first ever competition. Elisha is one to watch in future events, Sister Rebecca Shaw also did well in her first competition to win Silver medal. John-Jo Paterson again got through to the final and won his 2nd Gold medal in 2 competitions, team mate Jamie Thomson came through some tough matches to win his first Gold medal he is getting stronger at every competition. Liam Muir won another Gold when he beat a tough opponent to add to his trophies, Liam keeps on developing and getting stronger in every competition he has the potential in the future to be involved in the sport at the highest level. In the 3 man Coloured belt team we won Gold, Daniel Mallin Martin, William Ferguson and Kenny McQuaide all went home happy with their trophies. Laura Macdougall competed in two events winning a Gold and Silver for her efforts. This again was a great achievement, without the help of parents and students it would not be possible to reach these heights! I’d like to thank everyone for their time and dedication which made this event a success and proves we are truly a strong team with a long future ahead of us.